Whether you are planning simple or lavish, small or big, inside or outside, fun or formal, I would be honoured to perform your ceremony. I will guide you smoothly through your special day with my knowledge, expertise and relaxed style to ensure your ceremony is how you want it, and enjoyed by all who attend. 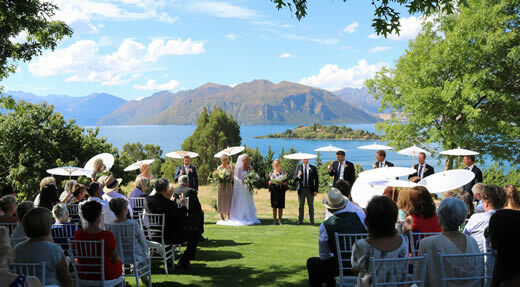 I have trained with the New Zealand Celebrants Training College. My role is to listen and work with you so your story and vows capture the unique love and commitment that you are declaring. Regardless of whether your ceremony is on top of a mountain, in an intimate venue, at the edge of a lake or river, shoes or barefoot, an elopement, same gender, different gender – I will work with you to make your dream of your special day come true. "Jude really made our day special! Jude's communicat ion and organisation with us leading up to the wedding was amazing! It was great to get to know each other before the wedding so we didn't feel like strangers at the alter! 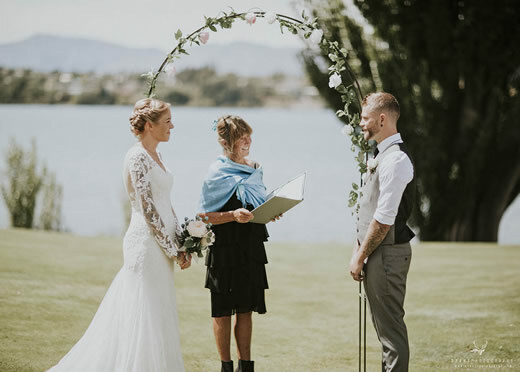 "Jude was without a doubt the best choice for our wedding, We discovered her on a local directory for Wanaka, and after reading about her we felt like we knew her. She made us laugh and feel at ease throughout our day, she is a loving, caring and kind soul and will make you feel so comfortable and relaxed. We will always cherish our special day and remember Jude as a part of a day to remember forever"